Blogging is one of the most important content marketing activities your company should embrace. 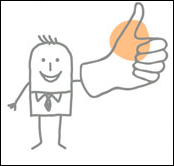 But for various reasons, many companies are hesitant to do so. Why? Budgets? Fear of the workload? Lack of content strategy or brand voice? All of the above? But alas! It must be done. Why? Your blog is the most important pillar of your content marketing strategy. Blogs can serve as a very powerful portal through which your company’s mission, values, voice — in short, your content — are distributed. Plus, despite what many companies think, blogging can actually be a low-cost activity that, in turn, provides you with incredible rewards. Your competitors are probably already blogging. In 2011, B2B marketers increased their use of blogs by 27 percent according to the B2B Content Marketing 2012 Benchmarks, Budgets and Trends Report, making it the third most common content marketing activity out there. It’s easier than you think. Implementing a blog is so simple, you’ll probably wonder why you hadn’t done it earlier. Plus, even if you’re already blogging, there are some easy ways to re-vamp your strategy and maximize your blog’s impact. Thanks to the amazing contributors here on the CMI blog, we’ve gathered a great deal of insights and expertise on the subject; insights that we think will forever change how you feel about blogging. Whether you’re a novice content marketer or seasoned blogger, we think the tips in this Ultimate Guide to Blogging will help support your efforts. What’s inside the Ultimate Guide to Blogging? Plus we’ve gathered information on what types of blog posts perform best, and give some examples of successful initiatives from across the web to inspire your efforts. Do you have a blog? Check out our Ultimate Guide to Blogging and tell us what we’ve missed, or share your own lessons learned in the comments below. Thanks to all our amazing contributors from the CMI blog, Joseph Kalinowski and Jodi Harris for helping pull this guide together! 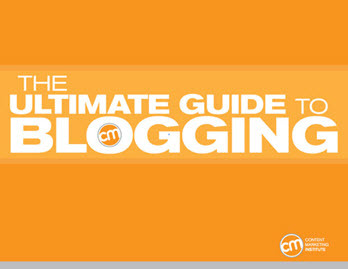 Download The Ultimate Guide to Blogging now.